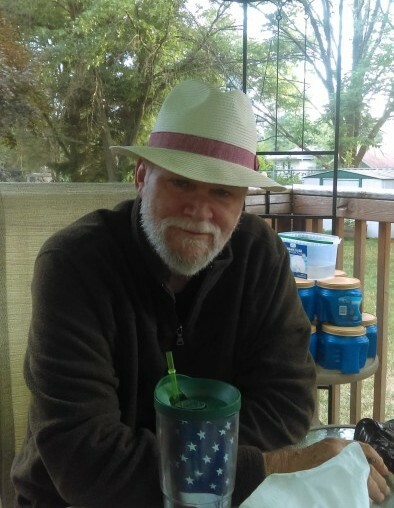 Gerald F. Gesslein, aged 67, of Middleville, went to be with his Lord on September 1, 2018. He was born to Leo and Dorothy (Shields) Camire on October 14, 1950 and adopted by Frank and Margaret Gesslein at the age of 3 after the death of his mother. He was a member of Sheet Metal Workers Local 7 and worked in the sheet metal field for many years. He was in the U.S. Army from 1969 to 1975, starting out in the infantry and then becoming a door gunner and crew chief in the 174th Assault Helicopter Unit in Vietnam. He was a loving husband, father and grandfather, and a friend to many. He is survived by his wife of 32 years, Margaret, five daughters and three sons, seven granddaughters and five grandsons and ten siblings. He was preceded in death by his parents (both sets), six siblings and a son. Funeral services will be held on Saturday, September 8, 2018 at Holy Family Parish in Caledonia at 10 am. Visitation will be one hour prior in the Narthex at church, with a luncheon afterward. Memorial donations can be made in his name to the local Veterans Hospital.